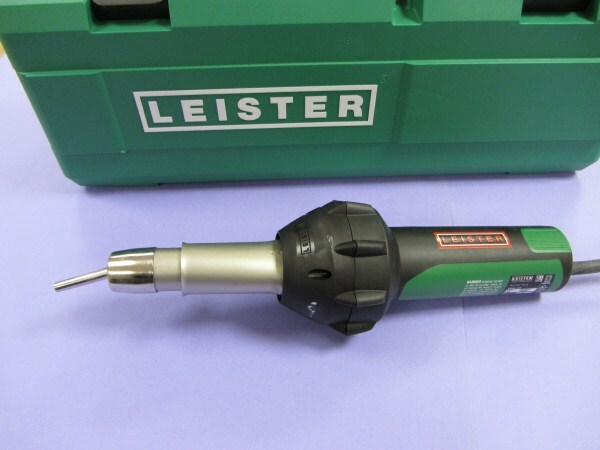 We provide a vast range of tools with a variety of welding equipment, however our Leister BT Weld Gun is one of our best selling products across this range. Both our 110v and 230v Leister heat gun kits have small efficient nozzles in carry cases provided, ensuring equipment is always stored correctly, reducing damage. Our Leister range is a trusted brand, easy to use with accessories including a corner roller, cleaning brush, spatula and much more, assisting you complete any welding task. We also supply a Leister Grooving Machine, designed to cut at adjustable depths and speeds, with its standard HM Trapezoidal blade. If you have any questions about our Leister heat gun, please do not hesitate to contact us today.